The recent UGC move to grant autonomous status to 62 educational institutions has been hailed in various quarters. The Ministry of Human Resource Development has praised it and has equated the move to grant autonomous status to Universities with “New economic policies of 1991”. It has been hailed as a tectonic shift away from the archaic system, a eureka moment for universities. As per this move, universities that have been granted autonomous status would now be in a position to launch new programmes, design new syllabi, decide their admission procedure, fee structure, enrol foreign students and faculty members. When we talk about autonomy it encompasses academic, administrative and financial autonomy. Academic autonomy is something which the universities have been craving for long. So it must be welcomed. However, the current move is not so much about academic freedom – i.e. teaching, learning and sharing of new ideas – as it is more about giving financial and administrative freedom to educational institutions. Government basically wants to shrug off its responsibility of funding public higher educational institutions. It is basically a step towards privatisation of higher education. 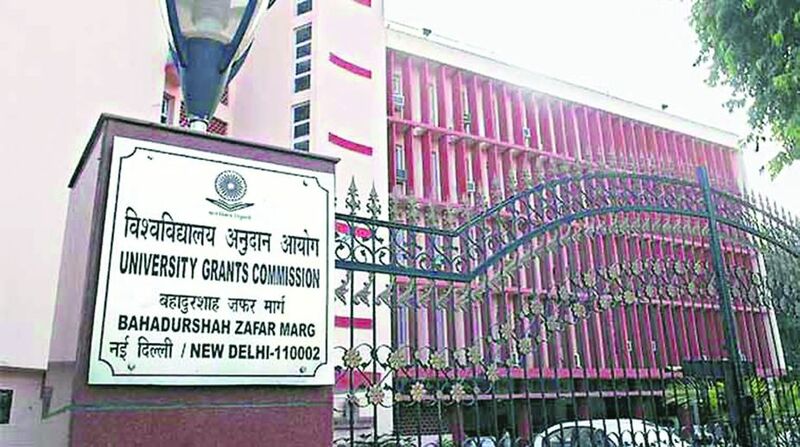 The institutions which have been given autonomous status could now launch new courses, design their own syllabi, open off-campus centres and enter into collaborations with foreign universities so long as do not ask the University Grants Commission for money. Under the new guidelines, the government has devised a 70/30 formula whereby the Centre would bear just 70 per cent of the cost incurred after the 7th pay commission is implemented. The remaining 30 per cent would have to be borne by the universities. The government has already slashed the budget for RUSA (Rashtriya Ucchtar Siksha Abhiyaan) from Rs 1,300 crore to Rs 200 crore. RUSA is a centrally-sponsored scheme which was initiated in 2013. It aims to provide strategic funding to higher and technical institutions. JNU, India’s top research university, has seen a massive cut in M.Phil and Ph.D seats by 80 per cent. All these moves clearly signify the government’s intentions – “rolling back of state from higher education”. 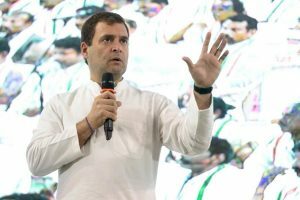 Despite repeatedly having been emphasised by various commissions on education including the Kothari Commission, no government till date has spent six per cent of national income on education. The freedom to launch new courses, collaboration with foreign universities, generating private funding, enrolling foreign students and appointment of foreign faculty looks rosy. But there is flip side as well for one needs to ponder how it could be done? The answer would be through promoting the “self-financing mode” for new courses, hiking fees, admitting more foreign students who in turn would be charged higher tuition, asking teachers to take corporate consultancies, tailoring courses so that they are in consonance with market, etc. All these measures will take a toll on the much-cherished goals of the Indian education system i.e. Access, Equity and Quality. Accessibility, Equity and Quality are the dominant themes that reverberated whenever there is debate on the education policy in India. Diversity and plurality are considered to be important components of any university. A university is considered to be a space where students of different cultures, communities, backgrounds and regions interact. The current UGC move would place these things on the backburner. Gross enrolment ratio in higher education in India is 24.5 per cent currently, much less than even some of the developing countries. Although, India aims to attain a GER of 30 per cent by 2020, the current UGC move could prove to be a deterrent against enhancing GER as it would discourage Indian students – especially from marginalised sections – to take up higher education with increasing tuition fees. The current UGC move would kill social diversity in public-funded institutions. The government has still not clearly spelt out how reservation policies would be implemented in these so-called autonomous institutions. The biggest defence given in favour of ‘autonomy’ is quality. The question that needs to be asked is if all public institutions offer exemplary higher education? No, but neither do all private institutions. However, public institutions trump private ones on grounds of affordability and equality, as they do not cater to the affluent and middle class alone. It has been argued that quality of education would improve with the coming of foreign teachers as students would get global exposure. However, with the Foreign University Bill pending in parliament this move could be seen as a backdoor entry for foreign faculties who are not getting ‘tenured posts’ in their own countries. For a government which is harping so much on nationalism, this moves seems hypocritical because it will reduce the job pool for Indian academicians. The move is likely to give a fillip to contractual instead of regular appointments. We have already seen how “guest faculties” and “ad hoc teachers” are exploited. They have no job security, no increment policy, they are not entitled to even basic rights like maternity leave. This in turn would mean the teaching profession would no more be considered a viable career option by youth. The current UGC move will force universities to re-orient courses in line with demands of the market. The impact would be felt more on disciplines like Social Sciences, Humanities and Basic Sciences as these do not have a direct link with the market. But one needs to remember that these disciplines perform the crucial task of creating a critical citizenry which in turn the lifeline of a democratic nation. The crux of the matter hinges upon a basic fact – how do you consider education? If it is considered a tradeable commodity, privatisation is not a problem. But if it is considered necessary for public good, as a tool to social empowerment and to fight inequalities, this move will be disastrous in the long run. This move is going to dilute the basic principles of Accessibility, Equity and Quality. It will be detrimental to the two biggest stakeholders of any University – Students and Teachers. The writer is Assistant Professor, School of Law, University of Petroleum and Energy Studies, Dehradun.